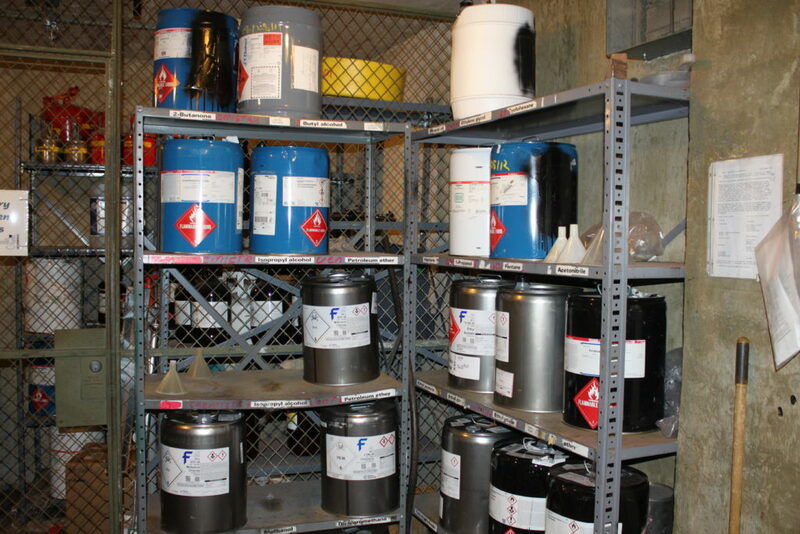 Maryam Bukhari | THE SPECTRUM Chemical storage located in the basement of Dunbar Hall. Maryam Bukhari | THE SPECTRUM To add research space some rooms that were never supposed to be labs have been turned into labs. Maryam Bukhari | THE SPECTRUM Some students have pointed out this fact. 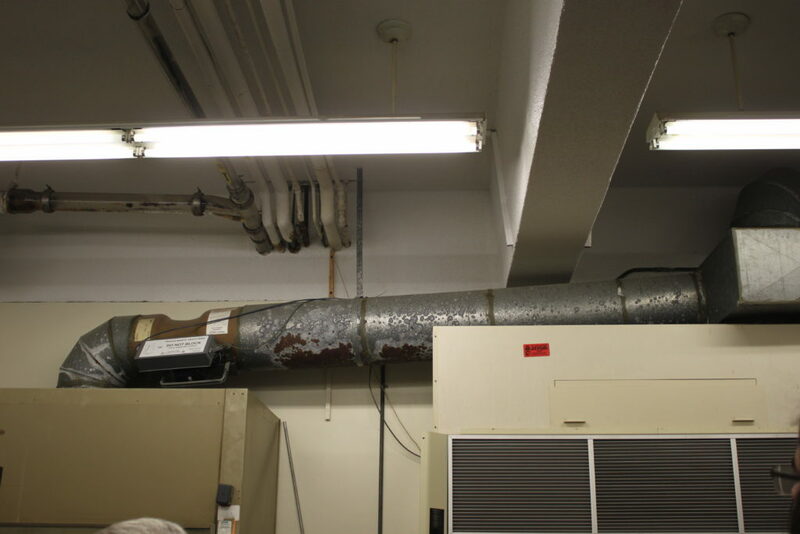 Maryam Bukhari | THE SPECTRUM The ventilation system of Dunbar Hall was never designed with the intent of housing the chemicals it is currently housing. Maryam Bukhari | THE SPECTRUM This is what a graduate student’s office looks like in Dunbar Hall. 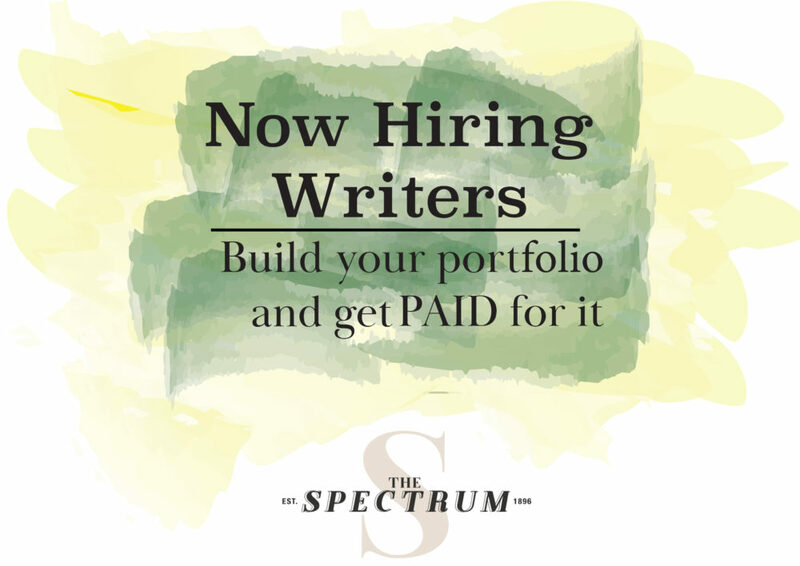 Maryam Bukhari | THE SPECTRUM Mike Ellingson told us about the cost of all the old aging equipment. Maryam Bukhari | THE SPECTRUM The state of being cramped in what student and staff must deal with at all times. Maryam Bukhari | THE SPECTRUM Another room that is being used for something it was never designed for. 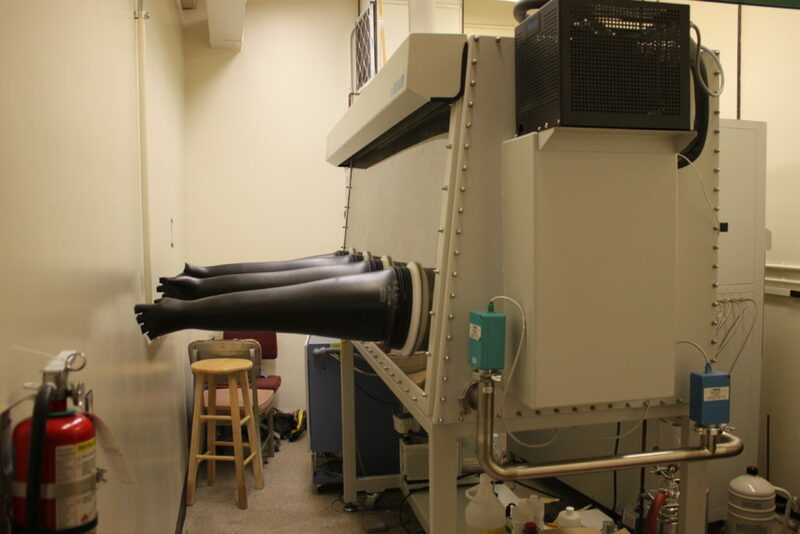 This glovebox comically barely fits in the room. 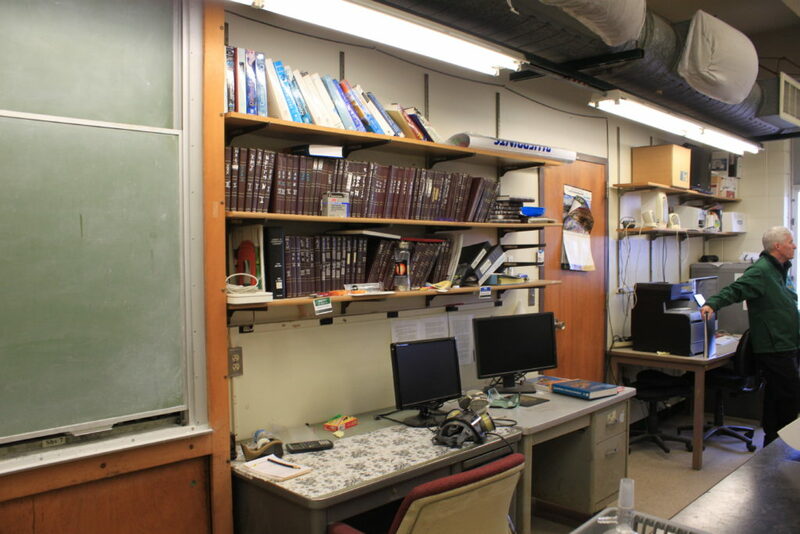 Maryam Bukhari | THE SPECTRUM More student space, one comment I got was that student who wanted to talk to their instructors often have to walk across active labs to get to these offices. 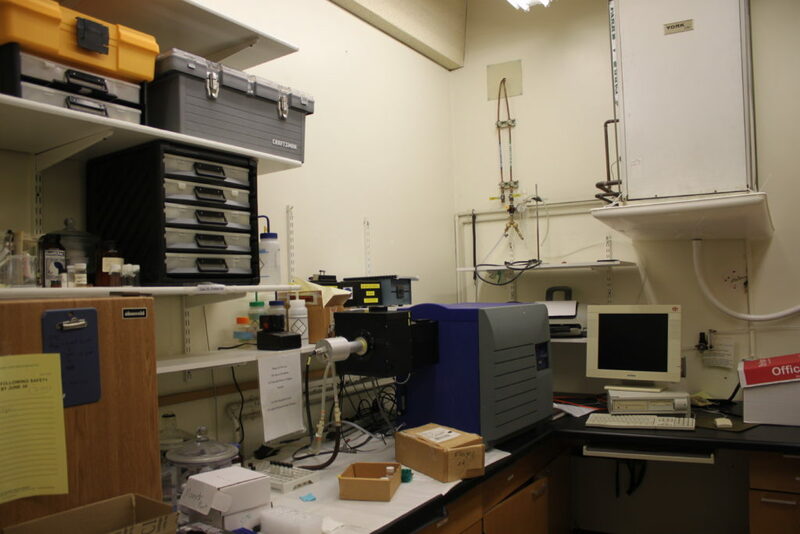 Maryam Bukhari | THE SPECTRUM For 20 years the ventilation systems have not been blowing metallic dust all over the labs. These socks were added about a decade ago to help with that problem, but the problem still persists. Dunbar Hall is an unsafe eyesore. The university doesn’t want to showcase it, the state hasn’t been able to pay for it for the last two decades, no private investors want to invest because of the lack of chemistry companies in the area and no one in their right minds would want to work or study in it. 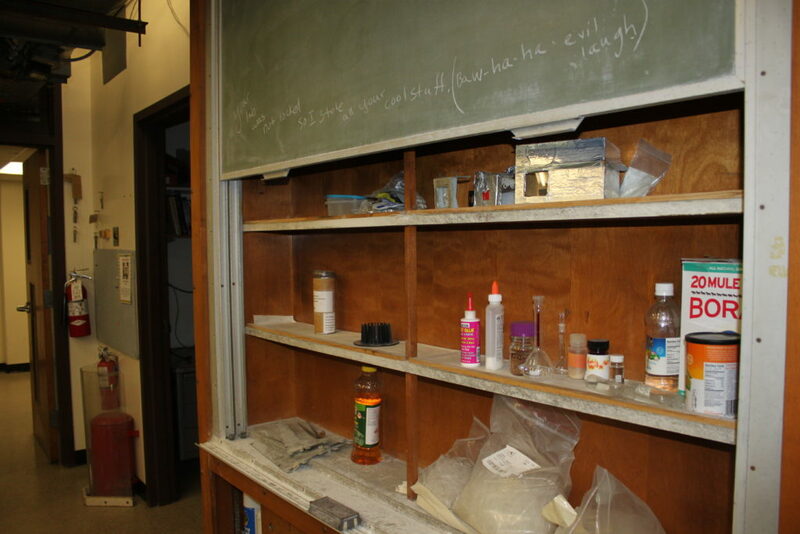 Simply put, Dunbar Hall is a burden to the chemistry department here at North Dakota State for both students and staff. Furthermore, it is a hindrance to the potential of the state economy. Dunbar is gross, it smells, the bathrooms are outdated and it has been cited as a potential fire hazard for years. And this isn’t a uniquely NDSU problem; there are buildings like Dunbar Hall all across this country. The problem that NDSU and many universities face is ugly, cheap buildings that are doomed for a wrecking ball rather than reverence because of the time period they were built in. That is a big problem for the future of higher education, which needs to find a way to replace these buildings to remain competitive, especially Midwestern research universities that don’t have billion-dollar endowments. The question we should be asking now is what value do we put on the brick and mortar campus experience? How does that impact local economies and what is the future for NDSU and universities like it? Built in 1963, Dunbar Hall represents a generation of buildings that still have a healthy population on NDSU’s campus. 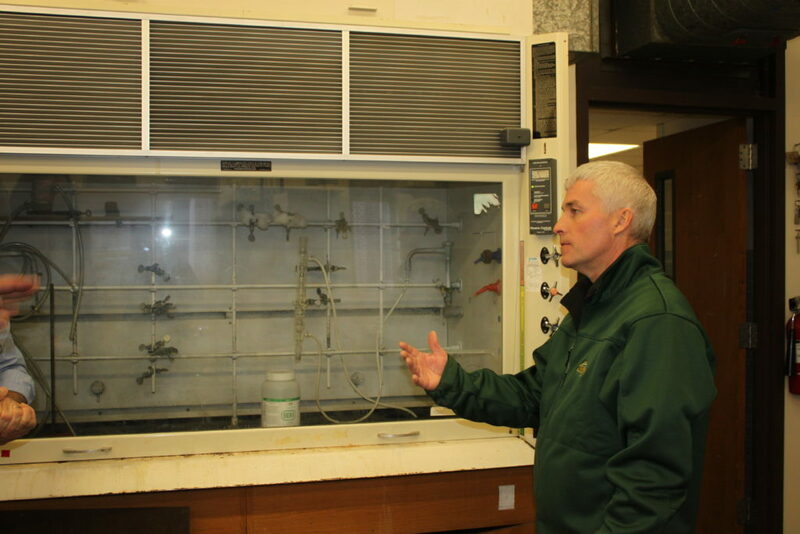 I sat down with Michael Ellingson, the director of Facilities Maintenance here at NDSU. For casual observers, it is easy to walk into a building and complain, but Ellingson has to balance those complaints with a lot of politics and, more importantly, the budget he is allocated from the state. Talking with him it became apparent that Dunbar isn’t an easy fix. Dunbar is a problem that is decades old. “There are a lot of things in Dunbar that are at their finite life,” Ellingson said. He told me that a building, especially Dunbar which is tasked with chemical storage and ventilation of chemicals, is particularly hard on the HVAC systems. In short, the system needs replacing. 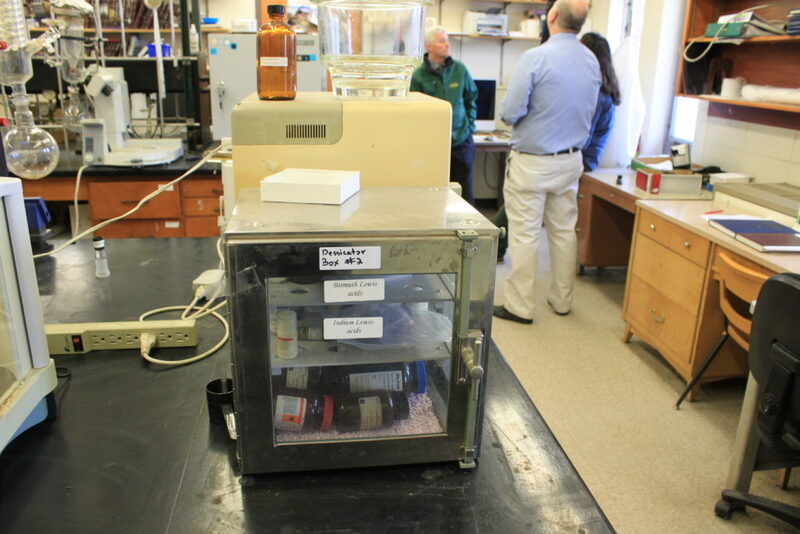 “For 20 years we’ve had metallic dust particles blowing out of the ventilation, covering our labs,” said Gregory Cook, professor and chair of the chemistry department. He told me about how he has to deal with this ventilation system by sweeping up that dust multiple times a week. 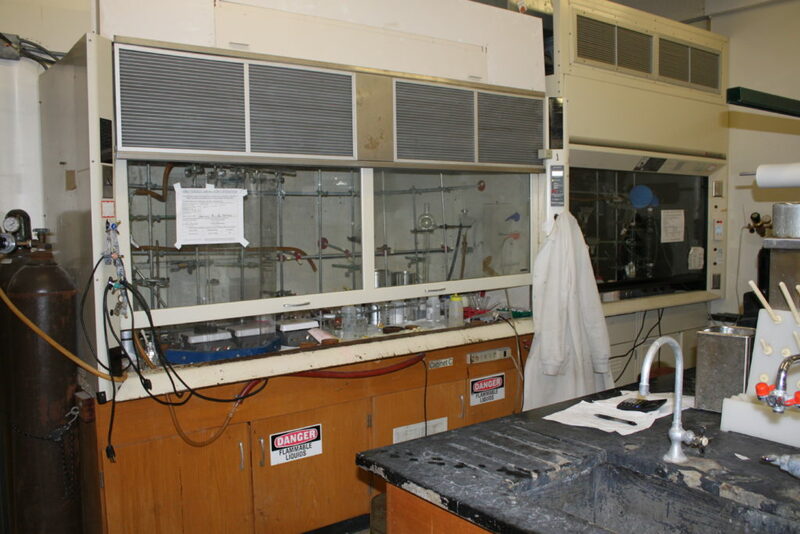 In 2017, almost exactly three years after that letter, the chemistry department lost an entire lab to fire. 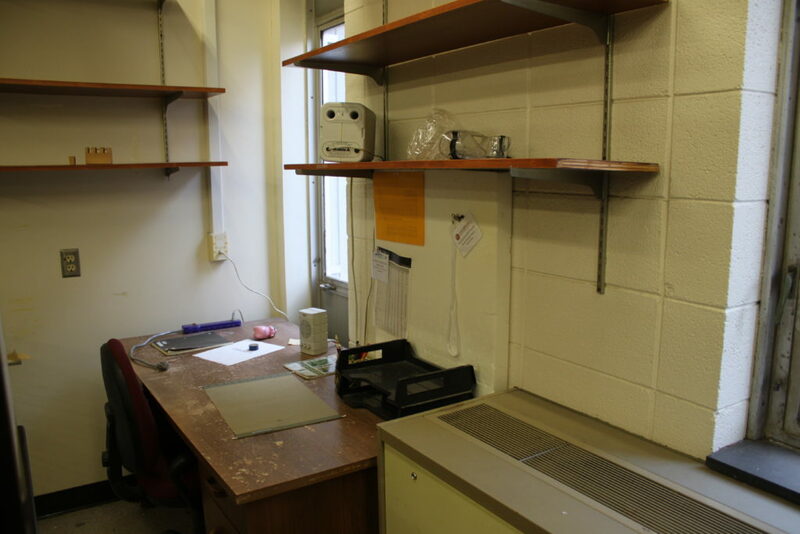 Cook told me they lost an eighth of their space for research in Dunbar for their department, and today, that lab remains vacant and unused. Fixing these problems isn’t so easy though. 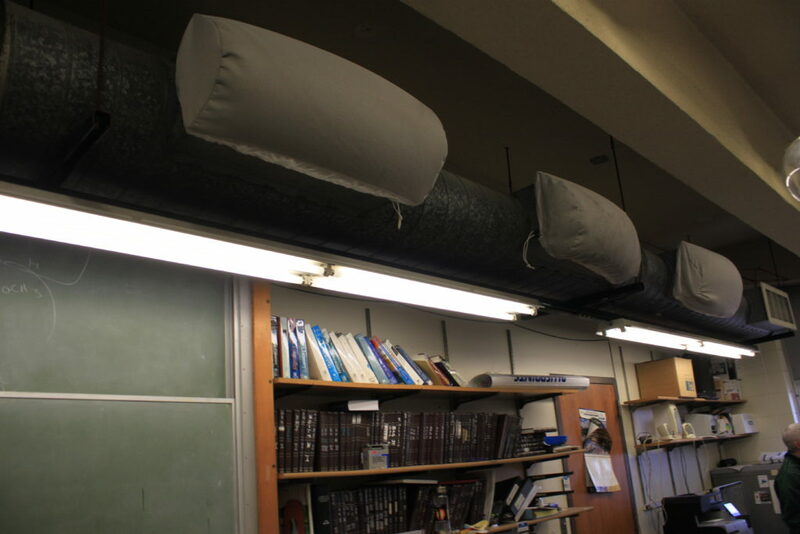 Updating the ventilation system would require fixing everything that isn’t up to code. In Dunbar, it seems like everything is not up to code. Ellingson put it this way when talking about the bathrooms, “I can’t just fix the plumbing.” Updating a bathroom’s plumbing requires bringing the rest of the bathroom up to code, which is set globally and sometimes nationally. 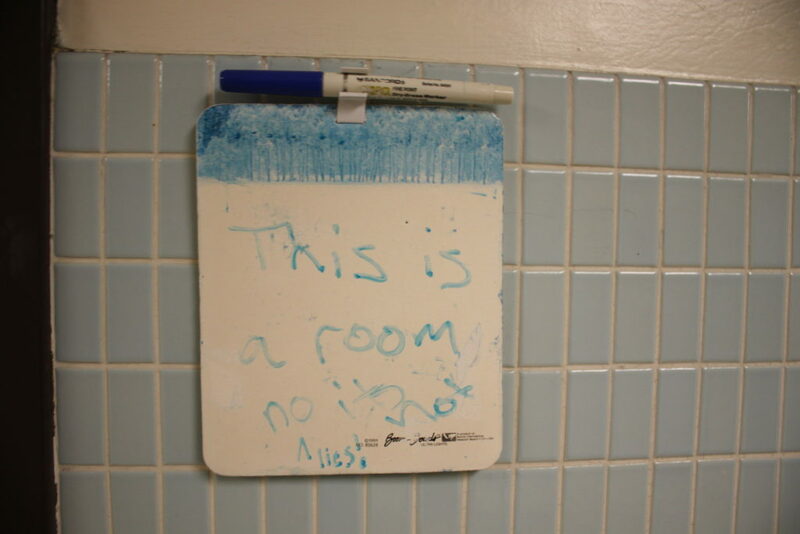 Ensuring the plumbing works would require Ellingson to add fixtures, add a fire suppressant system and add bathrooms on every floor that code calls for. This would drastically increase the bill, and for a building that may be seeing a wrecking ball soon, be a poor investment. “We don’t have the capital … You’re at the mercy of the state,” Ellingson said. His words are right. Right now, the state is deciding whether they want to fund a bond to invest in both Dunbar Hall and Harris Hall. House Majority Leader Chet Pollert, R-Carrington, suggested to cut the amount of money invested by the state by nearly 20% for Dunbar Hall, going from the approved $51.2 million to $40 million. He also proposed axing the $54 million investment for Harris Hall. That is Ellingson’s job, which is difficult to say the least when he has to worry about replacing a building that everyone who has experienced it agrees needs serious attention. Ellingson told me in a walkthrough that he gets roughly 50 calls a day for maintenance. “I can’t even count how many times I’ve been in Dunbar,” he said. He also has to make sure buildings keep water out and are habitable, no matter what happens at the state legislature. So, Dunbar needs replacing. It may get replaced, and less might be offered through the state as far as funding. Why do we have this issue though? 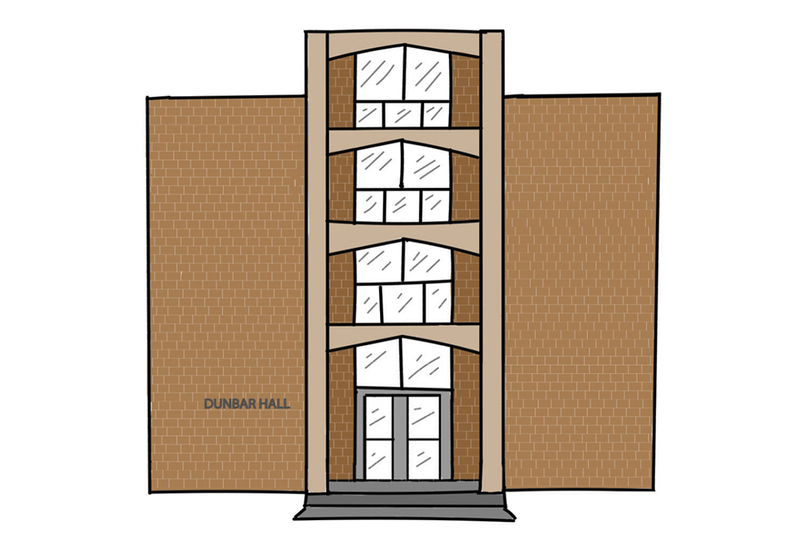 Why is Dunbar falling apart where buildings like Old Main and South Engineering are still standing the same as ever? Old Main, built in 1891, display a very different approach to building construction compared to Dunbar. Old Main, the building that currently holds the president’s office, is a year younger than the state of North Dakota; construction on the building started in 1891. In comparison, Dunbar’s construction started in 1963. Which begs the question, why is Dunbar being torn down while Old Main remains standing and will for the foreseeable future? “We will never have another building built like Old Main,” said Mike Tonder, the State Board of Higher Education director of facilities planning. 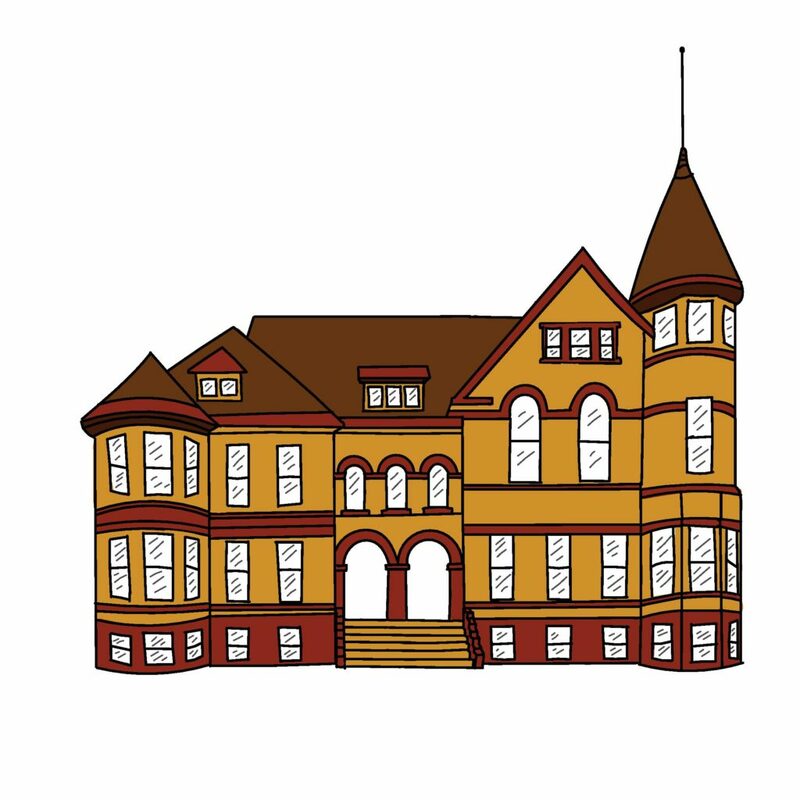 When comparing an old building like Old Main to a newer building like Dunbar, it is important to understand that at the turn of the 20th century, roughly 80% of a building’s budget went to structural components, which have longer lifespans than mechanical systems. Now, however, mechanical systems that have a much, much shorter lifespan make up roughly 50% of a budget for a new building. During Dunbar’s construction there was also something else happening, a boom in university population. 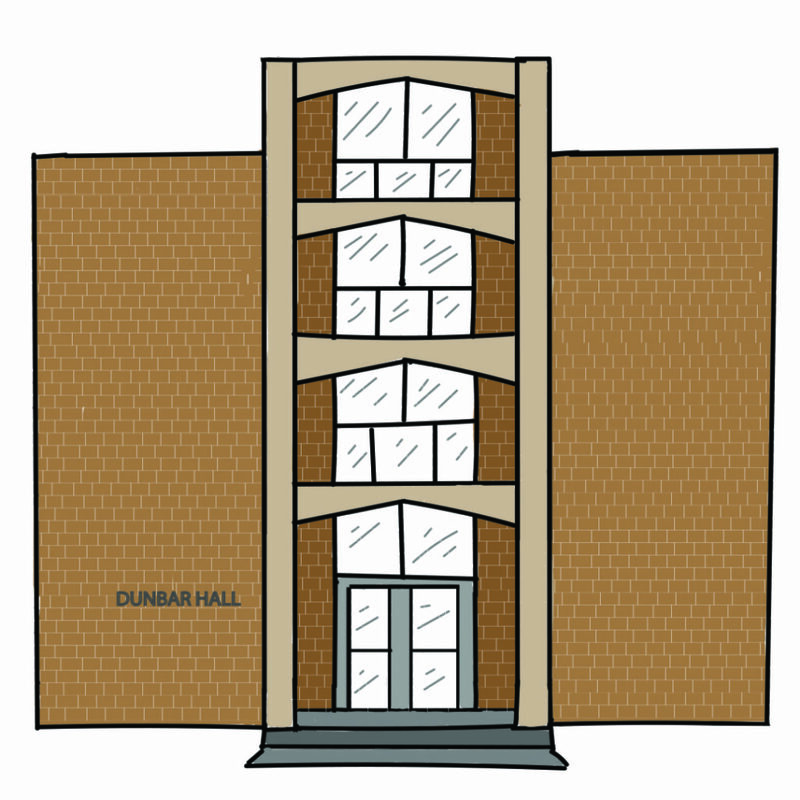 “The majority of our buildings are in the 50-75 (years) old range … the number of projects outstripped the resources, so you found people building the most utilitarian, minimalist building,” Bresciani said, which is why Dunbar Hall will be torn down instead of being maintained. This means the lifespan of buildings is shorter for newer buildings, but what about our newest buildings? Mason Rademacher executive commissioner of Student Affairs for student government and student body president-elect. “There has to be the mindset from students as well as administration that we want to champion some of our historical buildings on campus,” said Mason Rademacher, the executive commissioner of Student Affairs for student government and student body president-elect. Rademacher has had Dunbar on his mind for some time, as he works in advocating for Dunbar Hall at the state legislature. That is saying a lot. Dunbar is bad, but is it the worst? “It stinks,” Cook said. He explained many issues, including air quality, smells he can’t find the source of and even having to move staff out of Dunbar over health concerns. This concern over safety doesn’t stop Cook from worrying about the future of higher education’s campuses though, saying that he hates to see buildings torn down. In Dunbar’s case though, there doesn’t seem to be an option. “It is inhibiting both research and graduate education,” Cook said. He told me that although there have been requests to either build on to or replace Dunbar for over 20 years and over his entire career as chair of the department, there just hasn’t been a solution yet. I asked everyone I sat down with the following question, what will NDSU look like in 100 years? The answers I got varied, but many followed the same path. “I don’t know what higher education will look like in 100 years,” Rademacher said. He told me that he sees two possibilities: one where higher education is more online, and another where brick and mortar is still valued. “I think that in terms of soft skill development, that the brick and mortar ‘butts in seats’ model is very important to student development,” he said, pointing to his experience in student government and the connection to history that students get when they interact with the infrastructure on campus. “That is what companies are looking for,” President Bresciani said. He also noted that he learned more from interacting on campus and from talking to his peers over materials than just reading a book. “I have a hunch that as we have evolved in the last 1000 years, we will evolve in the next 100,” Tonder said, telling me that he sees a future where students may be studying in inflatable buildings with virtual reality headsets on. 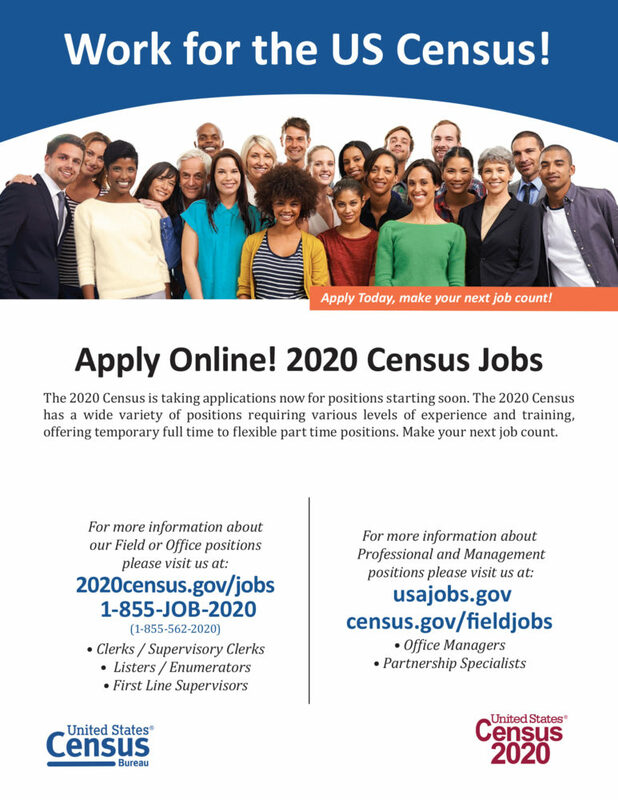 When asked if students appreciate the connection to history that they have now, Tonder said, “I don’t know what the answer to that is.” He pointed to having to listen and having to adjust to the times. Who knows, I guess? To me, the infrastructure a university can offer is fundamentally one of the most valuable things to a student and the region it is in. Being reminded that thousands have walked in your paths, that much greater struggles have occurred beforehand is important for human development. “For every $1 spent on higher education by the state, NDSU puts $7 back in the state economy,” President Bresciani said, also noting that NDSU was at once a throwaway idea. The state offered up a prison or an agricultural college to either Bismarck or Fargo. The rest is history. As that plan has progressed, we can see Fargo as one of the faster growing cities in the country, with NDSU being in the top 100 for research universities. I pulled Cook aside and asked him about what his college will look like in 10 years, or when he is planning on potentially retiring. “I think we can better serve the state and region if we have the proper facilities to do research in.” Cook said that after the Dunbar fire, their graduate numbers took a hit, falling from the 60s down into the 50s. 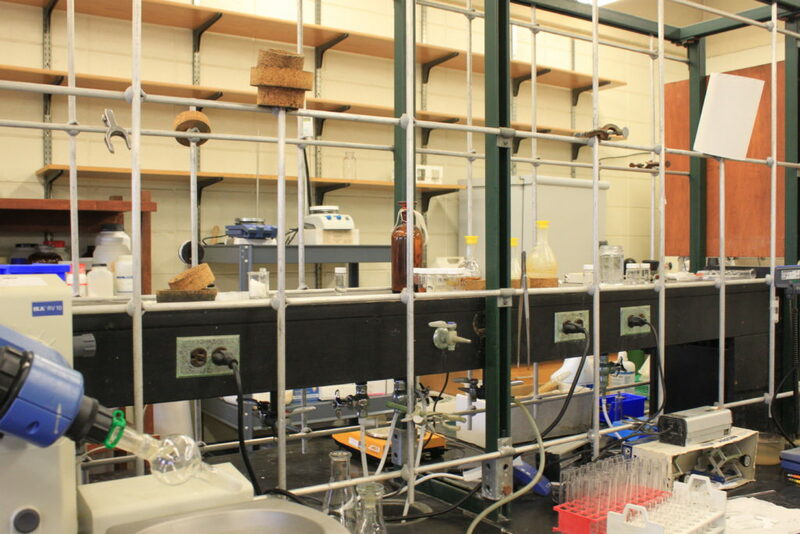 At the moment, the potential is there for the chemistry department and potentially attracting new industry, but it needs a catalyst first, and that is funding. To the state, the solution to generating more revenue and investing in North Dakota seems pretty simple — fund Dunbar Hall.